Hydroguard repels large water molecules, allowing larger air molecules to flow freely. This includes 3" clamp, air filter, and cover. Super high flow filter, has 3" opening. Filter can be washed and re-used. BlingLights Carbon Fiber Intake Kit How Does It Work?. 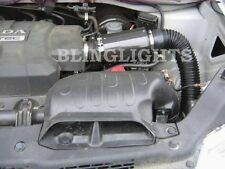 Our BlingLights Intake Kits are a great way and in many cases the only way to maximize airflow and engine performance. They will replace the factory air box providing both High-Flow air filter technology and a larger air filter size. BlingLights manufactures its intakes from genuine ultra-light weight carbon fiber, Carbon Fiber Reusable Open Top Fabric Filter and comprehensive photo installation instructions. BlingLights Cold Air intakes install easily under the hood. Limited inventory, once sold out this model intake will be discontinued permanently. 100% Carbon Fiber with Clear Coat Finish Connects to SC 11" Long 6" Wide 3" Opening 3" to 3 1/2" Step-up. For use with 2000-2006 BMW E53 Straight-6 Petrol only. How Does It Work?. Our BlingLights Intake Kits are a great way and in many cases the only way to maximize airflow and engine performance. They will replace the factory air box providing both High-Flow air filter technology and a larger air filter size. 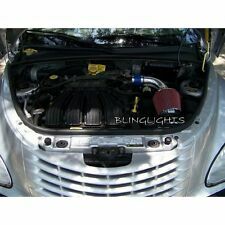 BlingLights Carbon Fiber Intake Kit Chrysler PT Cruiser. How Does It Work?. Our BlingLights Intake Kits are a great way and in many cases the only way to maximize airflow and engine performance. They will replace the factory air box providing both High-Flow air filter technology and a larger air filter size. How Does It Work?. Our BlingLights Intake Kits are a great way and in many cases the only way to maximize airflow and engine performance. They will replace the factory air box providing both High-Flow air filter technology and a larger air filter size. BlingLights Carbon Fiber Intake Kit BlingLights manufactures its intakes from mandrel-bent, lightweight aircraft aluminum with a powder coated carbon-black finish, Carbon Fiber Reusable Open Top Fabric Filter and comprehensive photo installation instructions. For use with Odyssey 3.5L V6 Motor. Limited inventory, once sold out this model intake will be discontinued permanently. BlingLights Carbon Fiber Intake Kit How Does It Work?. Our BlingLights Intake Kits are a great way and in many cases the only way to maximize airflow and engine performance. BlingLights Carbon Fiber cold air intake kits for 4cyl & 6cyl BMW's, specifically designed for the E30 but fits other models like the E36,E34, and E32 with little to no modification. This kit will fit many different BMW engines due to the fact that it doesn't require a custom shield. 100% Carbon Fiber with Clear Coat Finish Connects to SC 11" Long 6" Wide 3" Opening 3" to 3 1/2" Step-up. Dc2 eg bb1 bb4 Jdm Arc Magic Air Intake Arm . Condition is Used. Shipped with USPS Parcel Select Ground. 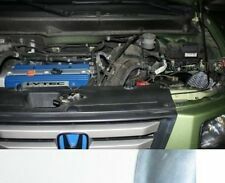 Jdm tx7 FC T2 or Na Mines / K&N covered air filter. Filter needs to be cleaned. If you have the intake now match up the correct air filter. Carbon fiber on the outside this is the newer version filter. 2008 Dodge Avenger. How Does It Work?. Our BlingLights Intake Kits are a great way and in many cases the only way to maximize airflow and engine performance. 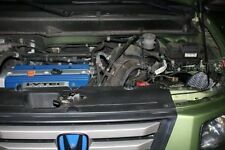 They will replace the factory air box providing both High-Flow air filter technology and a larger air filter size. The pipe has bungs for PCV, IACV, and Bov recirculate the filter is not included but a Wix 46256 filter was used. BlingLights Carbon Fiber Intake Kit Our Short Arm intakes install easily under the hood as well. BlingLights manufactures its intakes from mandrel-bent, lightweight aircraft aluminum with a powder coated carbon-black finish, Carbon Fiber Reusable Open Top Fabric Filter and comprehensive photo installation instructions. 2009 Chrysler Pacifica. How Does It Work?. Our BlingLights Intake Kits are a great way and in many cases the only way to maximize airflow and engine performance. They will replace the factory air box providing both High-Flow air filter technology and a larger air filter size. BLUE 3 INCH CONICAL FILTER FOR COLD/RAM ENGINE AIR INTAKE VELOCITY STACK 3"
For use on the end of a 3" air intake. Super high flow filter. Filter can be washed and resused. 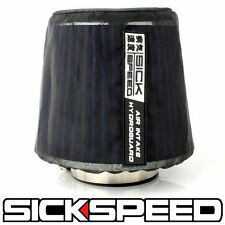 Sickspeed logo stamped on top of filter as shown. ・Low air intake temperature improves vehicle performance. 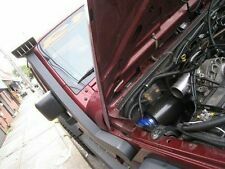 ・ Creating a sharp engine response with a racing intake sound. 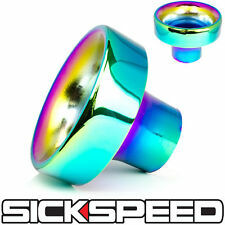 ・Improves engine intake airflow　and reduces resistance. ・Features Monster PFX600 air filter. 3" High Performance Racing High Flow Filter. THIS ONLY FIT FOR 3" INTAKE PIPING. Includes High Quality Micro Cotton Filter That Can Be Easily Washed with Soap and Water. Great For Cars with Limited Space to Place a Filter. As air travels through an intake it bounces around bends and elbows in the hose causing it to slow down pinning air can be less susceptible to these abrupt changes in direction. 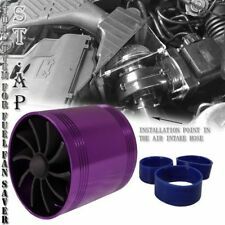 gain up to 3-6 HP with up to 7% better mileage.